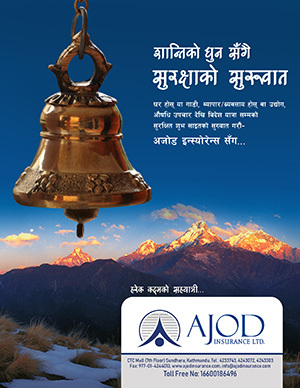 A Nepali domestic airlines company, Yeti Airlines and United Nation Development Program (UNDP) has inked a new agreement. Renaud Meyer, Country Director, UNDP Nepal and Umesh Chandra Rai, CEO of Yeti Airlines signed the agreement paper. 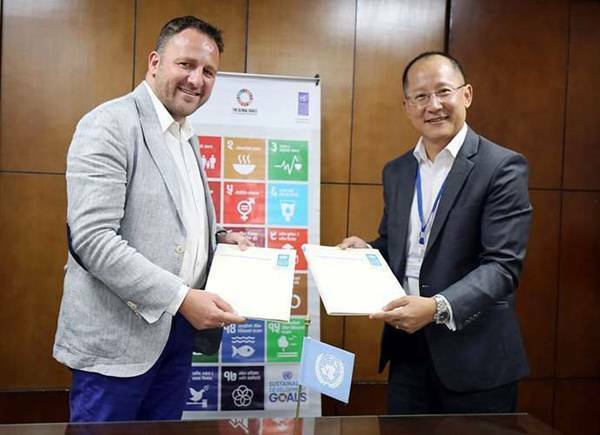 Yeti Airlines and UNDP made the agreement regarding promotion and achievement of sustainable development goals (SDGs) in Nepal. The SDGs, also known as the Global Goals, are a set of bold, universal agreements to end poverty in all its dimensions and craft an equal, just and secure world—for the people, the planet and prosperity—by2030. Under the partnership, the UN and Yeti Airlines will collaborate to undertake joint initiatives to raise awareness on the SDGs and mobilise relevant stakeholders and advocate for their contribution to the achievement of the Goals. The partnership will also explore, adopt and promote innovative and sustainable business models in the aviation and tourism industry that will help Nepal meet some specific SDG indicators in the areas of climate change adaptation, poverty reduction and gender equality. “The United Nations in Nepal is pleased and excited to have the Yeti Airlines as our first private sector partner for the Global Goals in Nepal. This has certainly given a very positive message to the development and business communities in Nepal and the world over about the important role the private sector can play in advancing the SDGs,” said UNDP Nepal Country Director Renaud Meyer. He added, “SDGs are the responsibility of not just the government and UN agencies but everyone, including the private sector and the civil society. Yeti Airlines CEO, Umesh Chandra Rai agreed with Meyer’s statement. He said, “Giving back to the society in every possible way has been a part of our regular practice and initiative, as flying is not the only thing we do”.